Pet Sematary 2019. Is it a remake, a fresh adaptation or a re-imagining of one of Stephen King's most beloved books? Well, at this point you can call it whatever you like because it's all the same to me. But in all truth this was just a rushed attempt to capitalize on the success of the IT adaptation. The movie is a scattershot of good acting, terrible writing, incomplete thoughts and scenes that make no sense, but hey it looked really cool and made you jump. Yet all that could be overlooked if it had stuck to the actual theme of Pet Sematary and not went for the Evil Dead/Night of the Living Dead hybrid that it quickly devolves into. Mary Lambert's 1989 film knew that the story was never about bringing back the dead and having them attack the living (zombies). The story is about grief, loss and the lengths that people would blindly go to in order to conquer that which is inevitable; death. Death is a hard thing to deal with and when it comes without rhyme or reason to those who are young it makes it even that more tragic and unbearable. 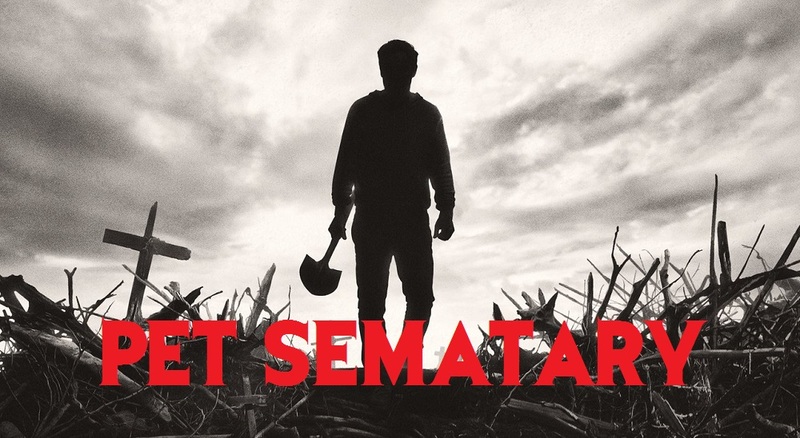 Pet Sematary 2019 decided to take the shock route and changing things up. It loses the moment where Louis comes close to pulling his child back from the road only to fail and instead making Church the harbinger of death by luring Elli out into the road to meet her fate with the Semi. Then from that point on it becomes a mess of a story and falls further from good story telling to just shock value. This remake was unnecessary and did nothing but allow the studio to make a quick buck while retaining the rights to the King story for just a bit longer. Even though the performances were really good it could not make up or save the movie from very poor writing. Yes, sometimes, dead is better and some franchises or stories should be left in the ground and remembered for what they were and not try to remake them into something they will never be.